With decades of collective experience in affiliate marketing and tens of millions of sales under our belts, we're here and ready to help YOU. 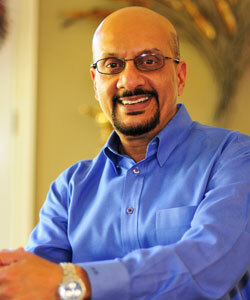 The Net Momentum was founded by Terra Goeres Ramachandran in June 2010. Terra’s passion for helping internet entrepreneurs grow their businesses was sparked during her last 3 years at ClickBank when she ran the Premier and Apex programs, which recognized and rewarded the top 500 vendors and affiliates. Terra loved helping them grow their sales by getting new features implemented at ClickBank, such as one-click upsells, and by helping them make key connections within the ClickBank network. Terra especially loved throwing exclusive cocktail parties and other networking events for her beloved Premier and Apex clients – a tradition she started that still continues at ClickBank today. Many of the people Terra connected went on to become life-long friends and generate millions of dollars together, and these two tenets became the cornerstones of The Net Momentum philosophy. Dush Ramachandran left ClickBank in August 2011, where he had served as Vice President of Sales and Business Development for 6 years. As a serial entrepreneur himself, Dush was fueled by a passion to help the internet entrepreneurs he met at ClickBank build solid businesses that they could either sell or depend on to deliver sustainable revenue for years to come. Having already begun a romantic relationship, Dush and Terra married and joined forces in June 2012. While Terra had been working exclusively with one client, Dush believed the industry needed a professional affiliate management company. With Terra at his side, he became the driving force behind growing The Net Momentum into the industry’s first boutique affiliate management agency serving the top echelon of digital product marketers. The Net Momentum has grown in many ways since then, and now has product and service offerings for affiliate marketing entrepreneurs at every stage of growth. Dush Ramachandran is President and CEO of The Net Momentum Corporation, a boutique agency that specializes in helping ethical online entrepreneurs build, grow, and scale their affiliate sales channel. Dush is a co-instructor for the Affiliate Marketing MasterClass, The Net Momentum’s comprehensive training program for beginner to intermediate online entrepreneurs who want to develop a profitable and sustainable affiliate sales channel. He also runs the done-for- you service arm of the business that caters to the top echelon of the digital marketing industry. Dush is a serial entrepreneur, having engineered the management buyout of a division of a Fortune 500 company and running that company for several years, and later founding, growing and selling two other companies. Most recently Dush served as Vice President of Sales and Business Development at ClickBank where he was responsible for growing the revenues of the company substantially in under 6 years. During Dush’s tenure at ClickBank, the company surpassed $1 billion in affiliate and vendor payouts, and during his last 3 years with the company, payouts doubled from $1 billion to $2 billion. Dush has authored popular articles for Under30CEO, Entrepreneur, Success Magazine, and Digital Marketer, among others, and his weekly podcast, The Entrepreneur Effect, gets 100,000+ downloads each week. You can catch it on iTunes and iHeartRadio. When he’s not working, you can find Dush at the gym, watching a movie (especially if there’s a new James Bond out), shooting photos, or reading a good book. Terra Goeres Ramachandran is Founder and Chief Operating Officer of The Net Momentum Corporation, a boutique agency that specializes in helping ethical online entrepreneurs build, grow, and scale their affiliate sales channel. She is also the creator and co-instructor of the Affiliate Marketing MasterClass – The Net Momentum’s comprehensive training program for beginner to intermediate online entrepreneurs who want to develop a profitable and sustainable affiliate sales channel. Prior to founding The Net Momentum, Terra ran the Account Management department at ClickBank. An early employee at ClickBank, Terra helped in the company’s phenomenal revenue growth from 2000 to 2010. 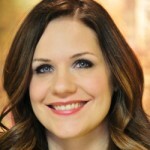 She created, implemented, and ran ClickBank’s Premier and Apex programs. Through these programs, Terra’s team was responsible for the retention and sales growth of ClickBank’s top 500 vendors and affiliates. A4U Expo in London named ClickBank’s Apex program “The World’s Most Successful Affiliate Management Program” in 2010. Terra holds a BA in Organizational Communications from the University of Montana. She is also a certified image consultant through the prestigious London Image Institute. When she’s not at work, you can find Terra in the gym, reading fashion or cooking magazines, exploring ideas through her journal, or enjoying a good movie and a dry martini (shaken, not stirred, of course!) with Dush. 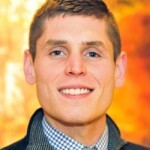 Ky Sayer is The Net Momentum’s resident energy expert. She has a vast and unique skill set, bringing years of not only industry knowledge, but also a unique expertise of the self-expansion field to the team. Ky comes to The Net Momentum from ClickBank, where she worked for seven years as an Account Manager, Project Manager and Team Manager. Since being a part of the Net Momentum Team, she has also spread her entrepreneurial wings and now owns a successful business practicing massage therapy and intuitive energy healing; her lifelong passion. Over the past several years she has dedicated her life to learning the healing arts. She is a Licensed Massage Therapist, an Astrologer, a Certified Moon Phaseologist and has extensive knowledge of the human energetic system. 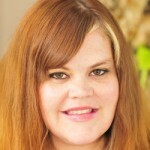 She has great enthusiasm for sharing her expertise with the world, and does so through the Mindful Monday newsletters. Ky spends her free time enjoying the world with her husband, two children and her dog, Bear. She is a yogi, an outdoor enthusiast and has a passion for gardening and natural living. She also has a desire to give back to the community. She is passionate about supporting local businesses and volunteering for non-profit organizations. She aspires to raising healthy, happy children and to continuously expanding her knowledge. Lish holds a Bachelor of Music degree, majoring in vocal performance from the Eastern Washington University, and leverages her vocal skills and her melodious voice at karaoke sessions and by persuading affiliates to promote the high converting offers she manages. A truly fun person to be around, Lish brings the same high energy, fun and playful sides of her personality to bear, in caring for the clients and affiliates in her care. With a keen focus on exceptional client service, Lish is always looking for ways to delight her clients. A passionate and creative baker and artist, Lish devotes her rare spare time to baking liquor-filled cupcakes (yes, they are truly delicious) and making unique jewelry, when she is not pool-side at her condo. Brian Perkins is an Account Manager at The Net Momentum. Brian came to The Net Momentum after working in management for AT&T’s customer service team. During the last few months with AT&T, his team was first in the nation in their overall adherence to metrics. A dedicated team player, he was responsible for developing training tools that the company implemented on the national level. Prior to this, he studied Information systems, graphic design, and English education at the University of Idaho in Moscow, Idaho. He left college to spend the next six years in the Army, and is currently a soldier in the Idaho Army National Guard. Brian is able to leverage an expansive base of management, administrative, and technical skills in creating and managing relationships with his clients. Outside of work, Brian has an appetite for knowledge and experience. Brian is as much at home studying philosophy and psychology as he is when he’s turning a wrench on one of his project trucks. Brian also moonlights as an amateur competitive eater, and has yet to come across a challenge that has gotten the best of him. He states that the only thing he’s aware that he can’t do is win a game of Magic the Gathering. Jeni Rogers is a lifelong dreamer and writer, with a marketing twist and a deep love of all the exquisite words. 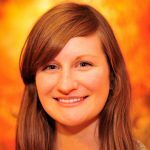 Jeni is the Content Writer and Podcast Production Manager at The Net Momentum, and has 10 years of technology-themed marketing, business development, relationship management, and two years of web content writing experience. Jeni helped develop and grow the flagship affiliate management offerings at The Net Momentum from 2012 until 2015, when she took some time off to care for her new son. During this time, Jeni successfully pursued freelance writing, and creates compelling web content, blogs, technical whitepapers, press releases, and news stories for her clients in a variety of B2B industries. Jeni has also worked as a top Account Manager on the Premier Team at ClickBank, managing over $100 million in vendor and affiliate revenue, each of her 3 years working there. Jeni developed prosperous and lucrative relationships with clients in the Internet Marketing, Self Help, and Health and Fitness, and Dating niches, and even helped grow an affiliate into one of the top vendors in the Dating niche on ClickBank. 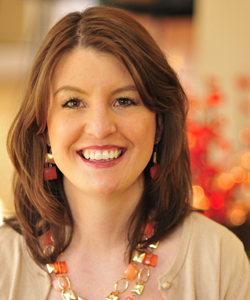 Prior to beginning her work with ClickBank, Jeni was an Account Manager at a gift card marketing company in the San Francisco Bay Area where she managed top mobile companies such as Boost Mobile, and helped to integrate technologies for gift card activation at the point of sale, managed marketing campaigns and increased their brand presence in the grocery market. Jeni has a Bachelor Degree from the University of Idaho in Communications Studies and Creative Writing. In her free time, Jeni loves to write, spend time with her family and their Puggle, and marvel at the joy in parenting her hilarious, brilliant, and somewhat feral toddler. 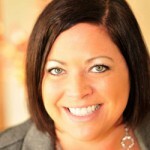 Meghan Rickelman is an Associate Account Manager with The Net Momentum. Meghan came to the Net Momentum after a 4 year career managing the Aquatics Department for the Treasure Valley Family YMCA. There, she loved building relationships with the members and participants, and connecting with her staff. These relationships helped drive her to success with the Y, where she eventually became a trainer for lifeguard instructors. In her role as a trainer and as a supervisor, she was devoted to helping YMCA staff and community members alike find passion not only for aquatic safety, but also for personal growth. Meghan's natural relationship building skills and passion for helping other people succeed translated perfectly to the affiliate management business. She loves connecting her clients with her affiliate partners, and watching them both make money and grow their business as a result of her work. Meghan has an Associate's Degree from Monroe Community College in Visual Communication Technology with an emphasis in Photography, and was a competitive swimmer for 13 years. When not working, Meghan most enjoys spending time with her partner, Nic, and their two young children, Hugo and Evey. She also enjoys reading, writing, road trips, camping, painting, and drawing. She aspires to raise kind, empathetic, and free-thinking children; to live self sustainably; and to grow as an artist.